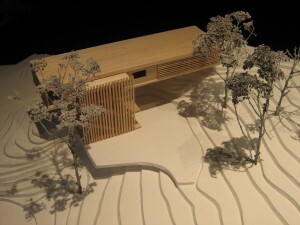 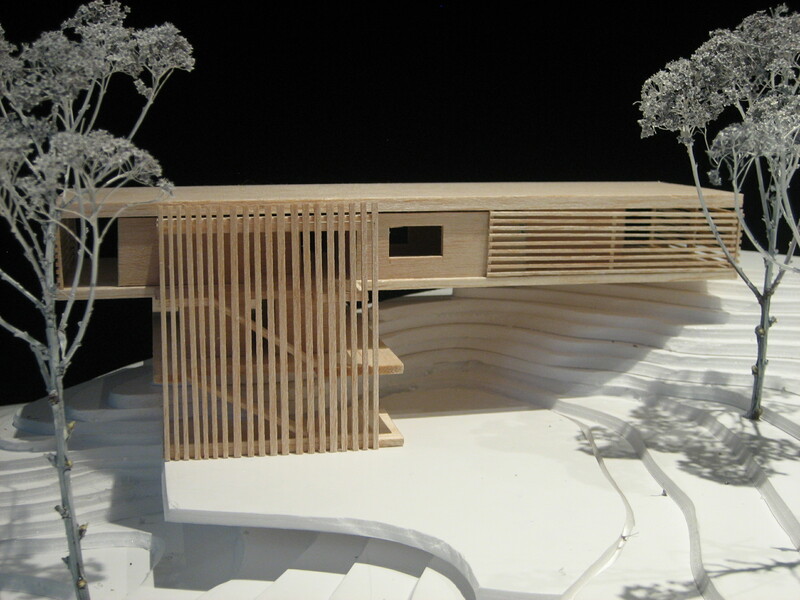 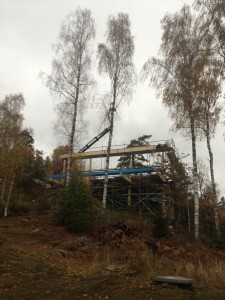 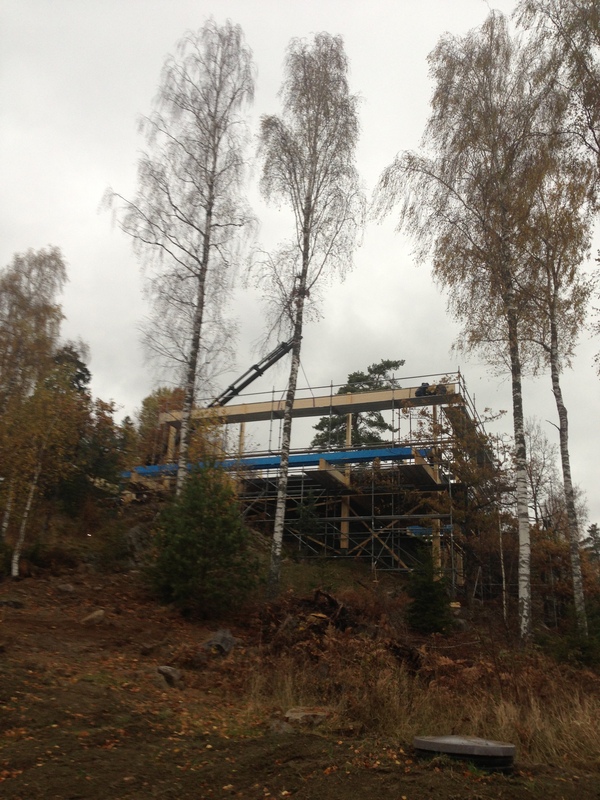 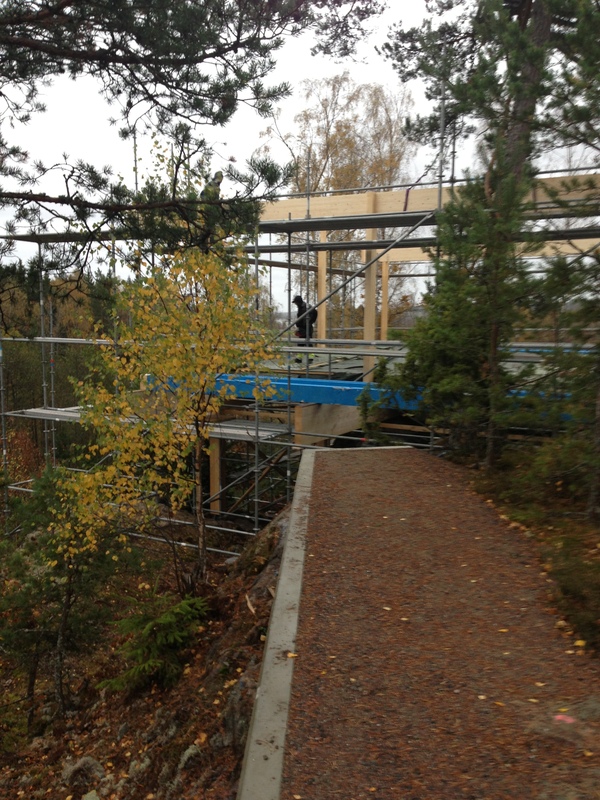 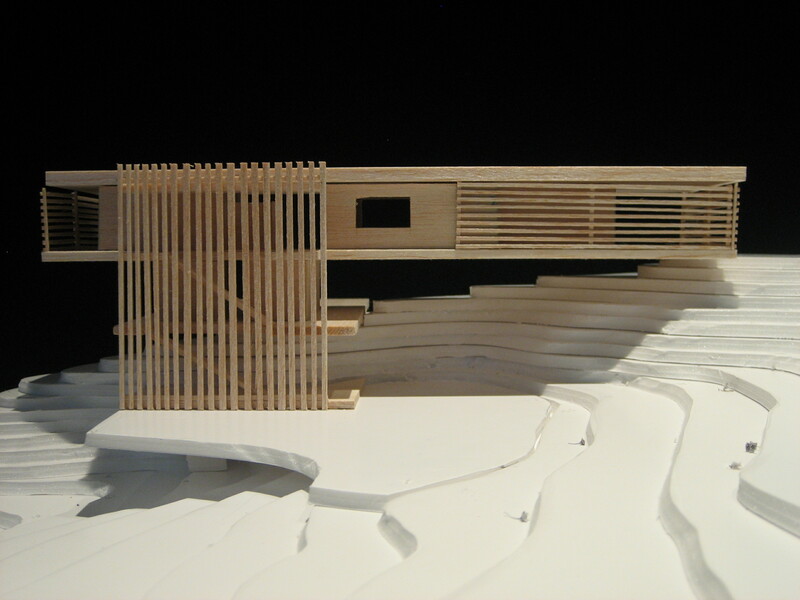 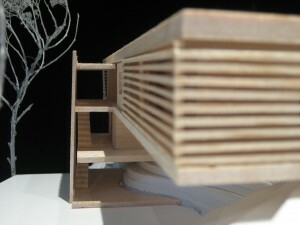 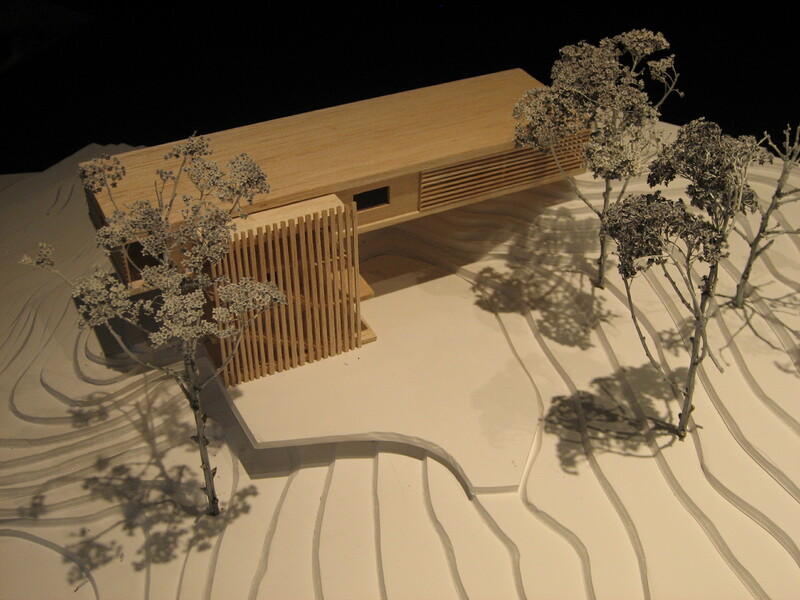 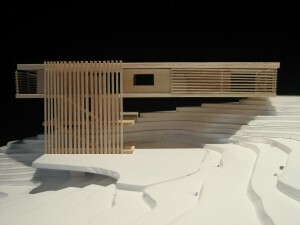 Sketch model for a new house on a rocky property outside Stockholm. 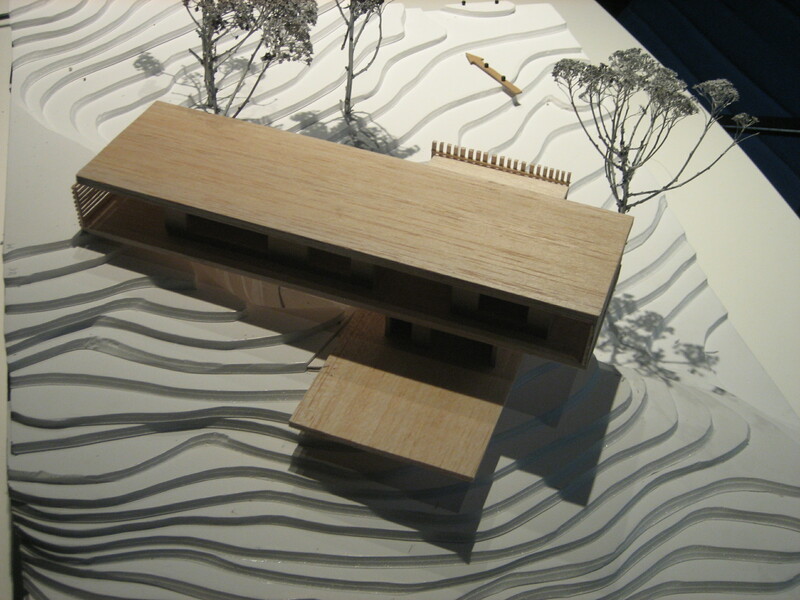 The project consists of an elevated main building with guest house and poolarea underneath. 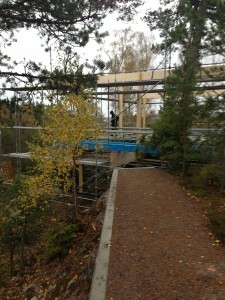 An outdoor stairway connects the different levels. 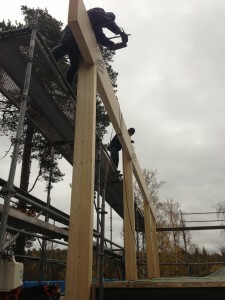 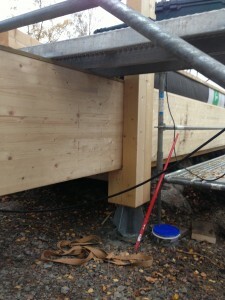 Mounting of wodden frame now completed!